Build a master furniture maker’s favorite bench. 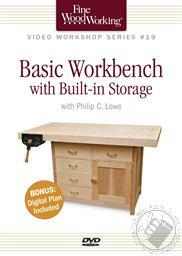 In this Fine Woodworking workshop DVD, award-winning craftsman Philip C. Lowe will show you how to build the workbench that’s been his trusty workshop companion for 40 years. Plus, your DVD comes complete with digital and SketchUp plans. Don’t let the size fool you! Despite its relatively small footprint, this bench offers woodworkers big benefits: It easily fits in most shops and is nicely proportioned, allowing you to reach your work from all four sides. And, the design offers loads of storage down below for stowing your favorite tools. 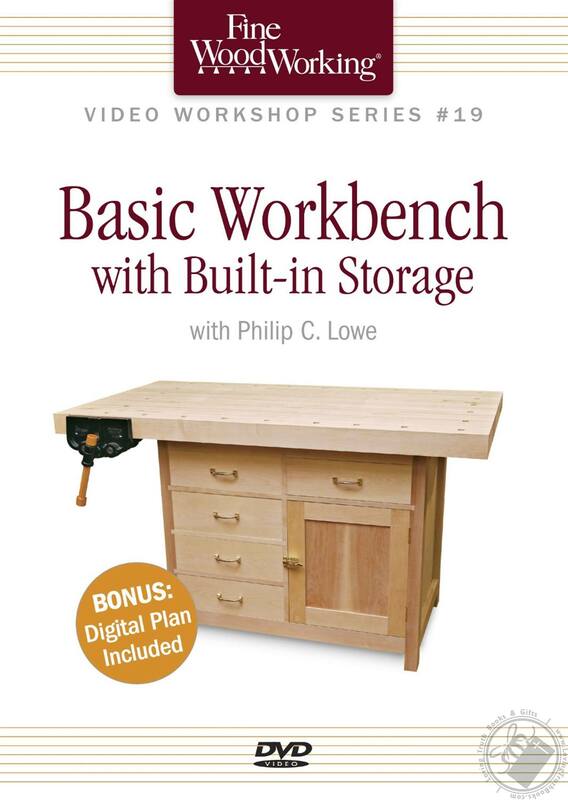 Get the inside story on Philip Lowe’s signature techniques: With Basic Workbench with Built-In Storage DVD you can build the same exact bench that has served Philip for decades. Plus, you’ll learn his secrets for cutting sliding dovetails, laying out and cutting benchdog holes, and tackling benchtop glue-up in easy stages. About the Author A professional woodworker since 1968, Philip C. Lowe is a longtime contributor to Fine Woodworking. An instructor at Boston’s North Bennet Street School from 1975 to 1985, he headed the furniture-making department for five of those years. He is the owner and director of his own school, the Furniture Institute of Massachusetts, and is also a well-known teacher at schools throughout North America. He is a winner of the 2005 Cartouche Award, the highest honor given by the Society of American Period Furniture Makers, and the 2010 Artisanship Award by the Institute of Classical Architecture & Classical America.